Being a lawyer is an incredibly attractive career choice and it has been for a long time, not only is this a career which can help you to earn a very good salary but it also offer you a position of power in the courtroom. Aside form these areas of being a lawyer, many are also attracted to the idea of justice and playing a key role in ensuring that any person or company who is tried, has the best opportunity of having a just decision. Being a top lawyer such as Boston legal supremo Jeffrey Glassman isn’t easy and there is a certain skill set and range of characteristics that you will need to display from early on in order to be considered a prime candidate for becoming a lawyer. Here are just some of the traits which you will need to have. As part of a legal team you will be require to read and absorb huge amounts of information, more than this you will also need to be able to sort the wheat from the chaff and sift the key pieces of information from the large amounts of text that you’ll need to work through. This is a principal skill needed in becoming a lawyer as away from the courtroom is where cases are truly won and lost. 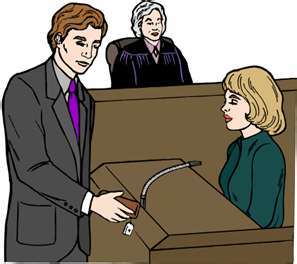 If you are the lead attorney then it will be your job to convince and persuade a judge or jury that your side of the argument is the right one. In order to do this you will not only need to have great deals of information in order for them to believe you but you must be able to put it across in a believable and relatable manner. The best lawyers are great persuaders, this is something that can be learned but is generally something that you naturally possess. Despite what the films and TV shows may indicate, being a lawyer is more than standing in the middle of a courtroom gesticulating in order to win the battle. Being a lawyer is about being part of a team who are all reaching for the same thing. You will need to be able to play a variety of roles within the team dynamic if you want to be a successful lawyer. Even though you will be doing your best to win your side of the argument, you cannot make a strong case if you do not possess the ability to view all possible sides to any conflict. If you have the ability to consider all possible outcomes of an argument then you are best placed to come up with counter-arguments as you will already know what the other team may argue. This skill can be learned through time but if you have it from an early age then you will find your pathway to becoming a lawyer far easier.